Caner Erim is a c-level executive and dynamic leader with a proven track record of creating and management success in both startup and corporate arenas. He has over 20 years experience of banking, e-commerce, and digital business development. He has created a number of startups as well as working for large corporates such as Cukurova, Sabanci, Fiba, Dogan and Dogus groups. He wrote and edited a comprehensive thesis on social media marketing for Istanbul Bilgi University, published numerous articles, and collaborated on other publications. Caner regularly consults several startups, his areas of expertise are e-commerce, online gaming, and digital business. 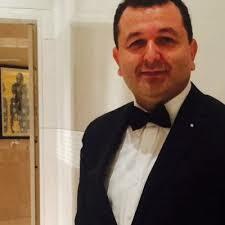 He is a member of the Turkish Young Businessmen Association, Bogazici University Alumni Association and the Executive Committee of Turkish Hockey Federation.